The Antarctica is the continent with the coldest climatic conditions, the averaged outside temperature at coldest part of the year is -63°C, and if it comes in the antarctic summer up to 0°C, the people in the research labs speak of an "incredible heat". So if you think solar thermal energy is not possible there, because it is too cold, you lie totally wrong. 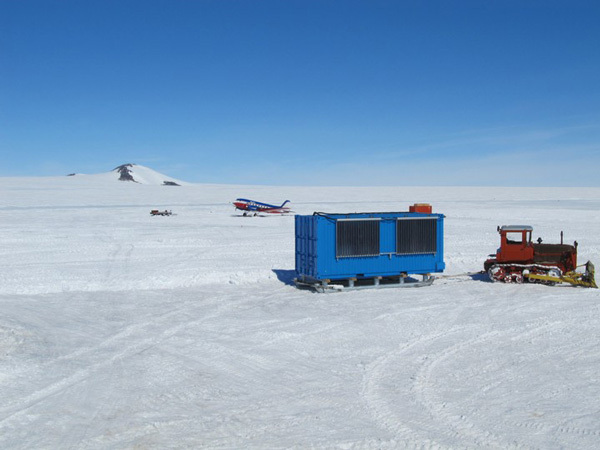 Solar systems in Antarctic research labs prove the contrary. 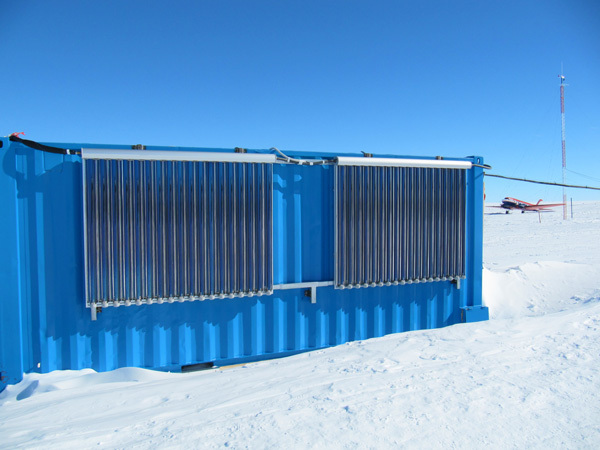 Of course, we all at Solarbayer are very happy to have a bavarian solar system in an Antarctical research lab. 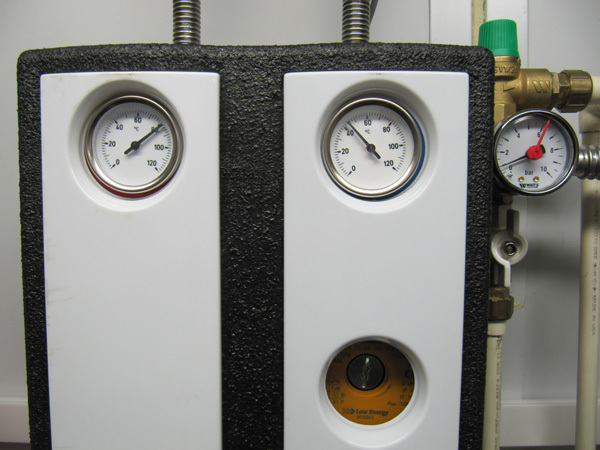 At the moment there are installed 3 Vacuum Tube Collectors CPC 18 and a DHW tank SKL 500 on a mobile wash and shower container. The collectors reach easily solar temperatures of 80°C or more at extremely outside temperatures far below the freezing point. To proctect the system against frost damages we used a special solar liquid which is applicable for extreme cold temperatures. Because the shower container doesn't has smell of diesel and flue gas anymore it is much more popular than before.